This weekend we have 1 open house showing Saturday August 13th in Fleming Island. Please come by and tour this beautiful home. There is a wonderful agent available to assist you and answer any questions you may have. Open House Saturday August 13, 12:00 p.m. – 4:00 p.m.
Rare find! Move in ready! 3515 sf on .62Ac in desirable Fleming Island! Beautiful, Spacious Custom Built bright 4BR/3BA home. RV/Boat parking, 2 separate paver driveways. House has 2 separate living rooms. Large front L/R boasts high ceilings, wood floors, floor to ceiling windows w/an abundance of natural light. 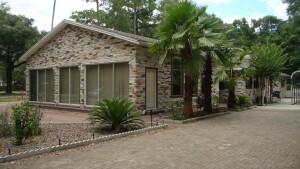 Updated kitchen w/stunning river rock countertops, 42” maple cabinets and seated breakfast bar. Secondary L/R has brick wood burning fireplace and hardwood floors. Master Suite is split from the additional 3 bedrooms. Florida Room has great views of the lovely landscaped fenced backyard. Great for entertaining w/huge wooden deck adjacent to paver patio to enjoy your Jacuzzi. Perfect backyard to add a pool. Four car carport, w/storage. No CDD/HOA fees! Contact Amanda Villareal for more info!